Lawn Mowing Frankston, Frankston North and Frankston South. Let�s face it, the interior of your home could be magazine worthy but nobody will give your home a second glance if the garden and lawn are overgrown or your lawn is a barren, dry wasteland. Frankston and its North and South are areas on the way up and with a high demand in the property market. If you are a new buyer wanting to rent out your investment property or trying to sell your home don�t underestimate the importance of first appearances. It�s a common real estate adage that people make up their mind on buying a home in the first three seconds of stepping through the door. The garden they have just walked through and the backyard seen from the window will play huge role in this decision. AC Maintenance will bring over 50 years of experience to landscaping your home and whether it�s a quick tidy up or a bigger project including tree removal and rubbish removal we will get it done without any fuss. Need to organize body corporate garden maintenance and don�t know where to start? 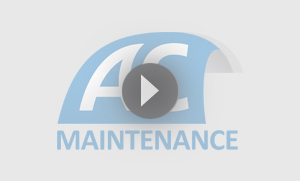 Speak to AC Maintenance and we will advise you on the common services we provide for body corporates. Areas of common ground can bring some specific issues and its best to engage a company that has expertise on these issues. Let us take care of the lawn mowing and garden maintenance of your rental properties. We commonly provide lawn mowing services for our client�s rental properties in Frankston, Frankston North and Frankston South. Lawn mowing can be time consuming and quite frankly it�s not high up on a lot of people�s chore lists. Especially for rental properties, tenants cannot always be relied upon to mow the lawn. Keep up your rental income by providing a home that comes with regular garden maintenance. Rental homes that advertise regular lawn mowing and garden maintenance can often attract more interest due to the fact it adds a premium element to the home. Of course we also provide lawn mowing services for your own home. Let us take care of your lawn and garden with regular gardening. Do you need hedge trimming? No worries we have the tools and know how to keep your hedges in prime condition. If left unchecked hedges can really get out of control. Make sure you don�t pay more in the end by ignoring the problem or leaving it until too late. With our experience in hedge trimming no hedge is too big or too unruly; we will turn the hedge into well behaved beautiful feature of your garden. It may just be that lawn mowing is not your thing or that you simply have never purchased a lawn mower. Get AC Maintenance to take care of it for you, sit back with a drink in hand and watch someone else sweat in your garden! Remember the list above is common services we have listed and not a definitive list. Call us now for a free quote on the job you need done. Speak directly to one of us, combined we have over 50 years in the industry and know how to get it right the first time. Whether it is your own residential property or an invest property AC Maintenance will provide a premium professional service at a great price. Call and speak with on Phil: 0414 544 277 or Glen 0407 537 796. You can also leave your details and we will get back to you as soon as possible.